Looking over on U models site recently I see that that have expanded their range of products considerable. 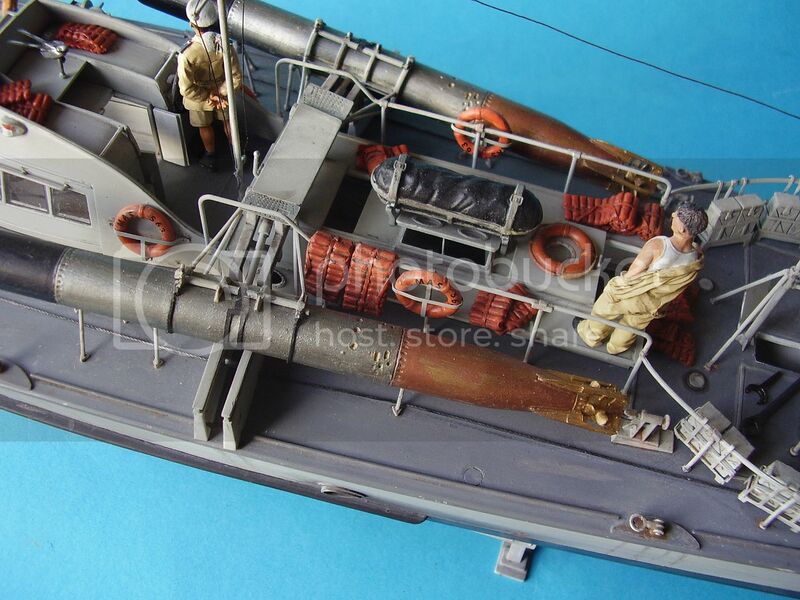 Although not shown on their site at present, a look on Blast Models.com shows and interesting range of French Indo-China figures to go with the recently announced LCVP conversion, plus a widening range of German sailors suitable for a variety of purposes. But I digress; this is a brief look at their Italian WW2 life Jackets. The set comes in a smart plastic snap box, containing a paper insert outlining the product and manufacturers details and the product. The set of jackets comes with 6 slightly different styles of WW2 Italian Life Jackets. (see picture). These have been designed with the Italeri M.A.S. Boat in mind, but could be used anywhere on land or sea if the setting suits. The jackets are cast in a light cream resin and are finely detailed. Little clean up is required and after a quick wash you can get straight to the fun part. The jackets appear to be accurate from the pictures I have seen and fit well across the boat being useable in any number of locations. Another set of useful AM 1/35 scale boat products that will add a little more colour and interest to your build or diorama setting. As with all the sets in this range you get 6 x jackets per set and personally I’d prefer 8 or 10 as they were a plentiful item on most boats. I was unable to get hold of this product in the UK or directly from U Models, so shipping costs were I thought extremely high, which may be something to bear in mind. Highs: Excellent detail to brighten up your build.